All across the country, winter is winding down. 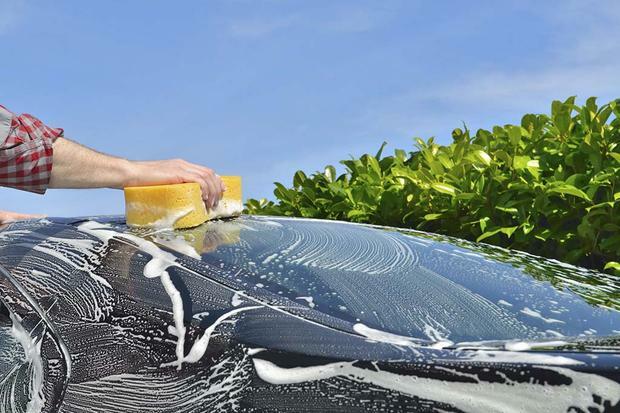 With more sun and rising temperatures comes an entirely different strategy for car care. Fortunately, we're here to help. Here are six simple tips to help you care for your vehicle as winter makes way for spring. A good, thorough wash and wax is the most important thing to do with your car once the winter is over. Winter driving can cause a huge amount of road grime, debris and -- worst of all -- salt to build up on your car. You want to make sure those items are long gone before spring starts. Allowing debris and grime to build up on your car can affect its paint and finish, while allowing salt to build up can lead to rust and other serious problems. Nobody wants to spend time cleaning out their car during a cold winter day. That's why spring is the perfect time to clean your car's interior, so spend a day doing some spring cleaning. Remove and throw away all the interior papers, trash and other items that have accrued over the winter. Not only will you have a clean car, but your spring cleaning can be done when it's more temperate and comfortable outside -- especially important if you have to vacuum your carpets and seats. Tire pressure is especially important in the spring. As air temperatures get cooler during the winter, tire pressures decrease, which probably caused you to fill up your tires during the winter months. But as air gets warmer again in the spring, tire pressures can increase. If the pressure increases past your manufacturer specification (because you added air during the winter), it can seriously affect your car's drivability and fuel economy. This is an important part of car care, so if you don't feel comfortable checking your car's tire pressures by yourself, take it to an auto parts store or a national shop -- such as Big O Tires, Sears Auto Center or Firestone -- which will usually perform the check for a low price or maybe even for free. As spring starts and temperatures warm up, check your wiper blades for any signs of cracking or wear. The wiper itself could wear dramatically over the winter due to ice buildup or other issues on your windshield. In most parts of the country, you'll need those wipers for spring rains, so be sure they're in good working order after winter comes and goes. Do a thorough check under your hood to make sure your car's engine made it through the winter without problems. Specifically, check belts and hoses to ensure the cold temperatures haven't rendered them brittle or heavily worn. Check your coolant to make sure it's not too old -- an important factor for avoiding overheating as temperatures gradually climb. If you aren't comfortable performing these checks on your own, contact a local mechanic. While you may get billed for an hour of labor, it's better than going into the spring with potential issues lurking under your hood. Winter is known for being harsh on roads, and that in turn can be harsh on your vehicle. If you find yourself frequently traversing roads with huge potholes or rocks that have emerged from the asphalt, it could ruin your car's alignment or damage suspension components. Our advice: If you've taken your car to a mechanic to check under the hood, ask for a quick suspension and alignment check to make sure nothing is too far outside the manufacturer's specifications.